Writer Dan Darling grew up in Albuquerque, a city that he says is "part desert, part floodplains, part mountains and all contradiction." Those contradictions, which he observed first as a boy and later when he returned to his hometown for an MFA in Creative Writing at the University of New Mexico, inform his fiction. 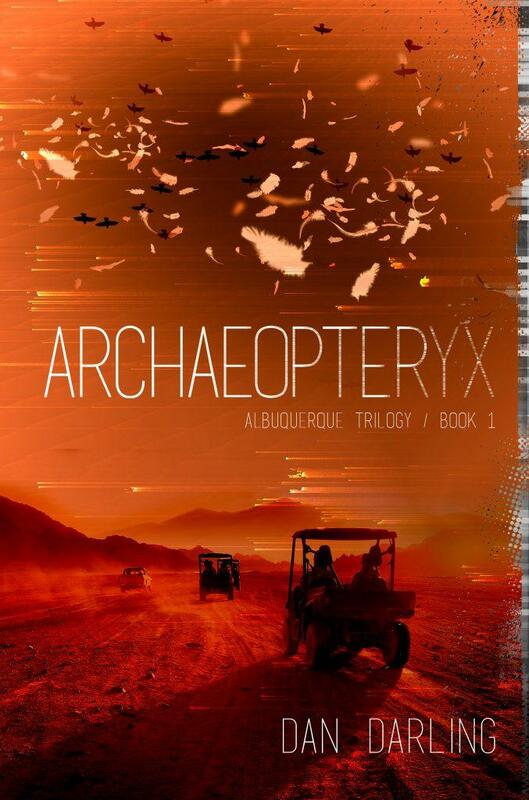 Albuquerque is the setting for his first novel, Archaeopteryx, a page-turning blend of detective story, science fiction and homage to what Dan calls the "sacred dry places." How does Dan describe his novel? "I introduce my main character: His name is John Stick, he's a zookeeper. He's also a giant, he has giantism, he's eight feet tall. And one day 10,000 birds fall dead from the New Mexico sky, and John is sucked into the mystery of what caused these birds' death." In this longer version of the interview, Dan explains that Archaeopteryx is the first in a planned series of novels he calls The Albuquerque Trilogy. "I want to be the Salman Rushdie of Albuquerque. I want to be obsessed with this place and write about it extensively."